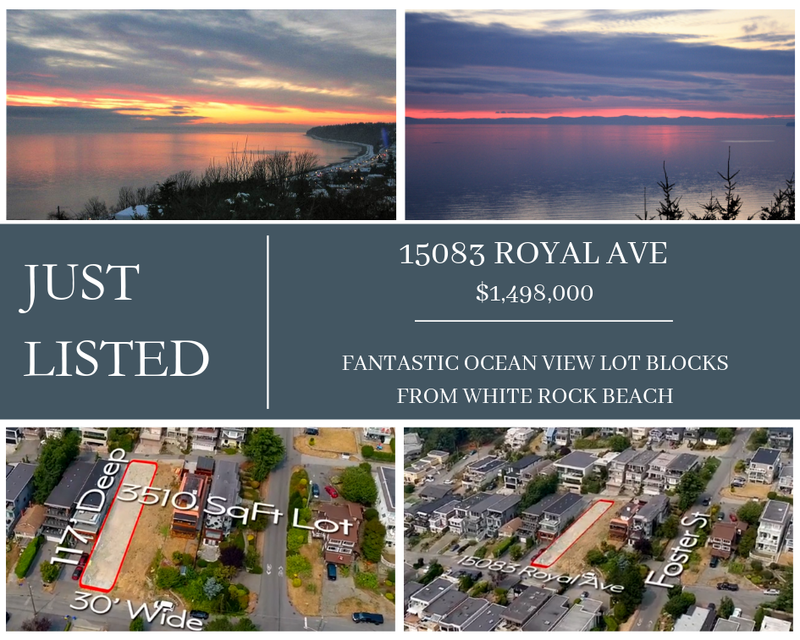 Beautiful ocean view lot in desirable '5 Corners' neighbourhood. Close to restaurants, shopping and short walk to White Rock beach. Lot has been cleared and is ready to build upon. Spectacular ocean views including sunset on this quiet, but centrally located lot. Building plans in place (and available to view for serious Buyers) for incredible 4 storey-5000 plus square foot luxury home, including rooftop deck. Should have approved plans and building permit by mid-August. Significant investment already placed in surveys, geo-tech, building design plans, hazmat inspection, demolition/removal and more. Opportunity for your dream home!